E-MAIL ETIQUETTE: Do’s and don’ts you need to know! 1. SUBJECT LINE–Always use this field and make it as descriptive as possible. A descriptive subject says, “open me”. It also makes your message easy to find again. 2. CAPS–Refrain from typing in ALL CAPS because on the Internet, ALL CAPS is used to convey that the writer is shouting. 3. BCC–If you’re sending to a large group, use “blind copies” (unless there’s an awfully good reason to have everyone see the e-addresses of all 215 recipients). Your message appears more private and personal. 4. REPLY TO ALL–If you’re responding to a group e-mail, hit REPLY rather than REPLY TO ALL unless you really think the whole group wants to see your reply. REPLY TO ALL facilitates voting and discussion among a group of people. 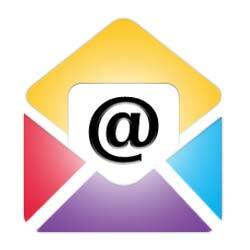 Fast, free and far less formal, e-mail is a great advantage to today’s organizations. Learn to use it professionally. Next Next post: Website Talent Wanted!